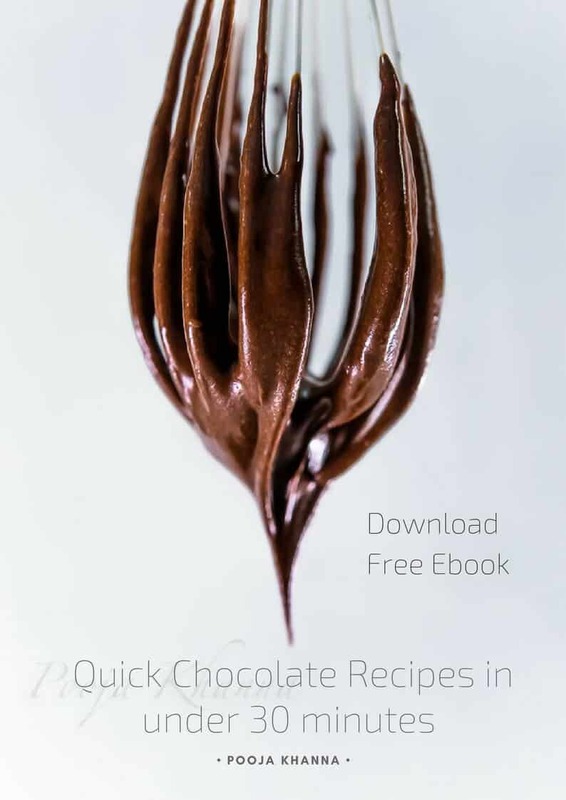 This is a no-complications, kind of recipe and as always, at 2blissofbaking we make every recipe easy, and this one is no exception. You can bake these amazing looking cookies at home, by your self, even if baking is a new/unfamiliar territory for you. 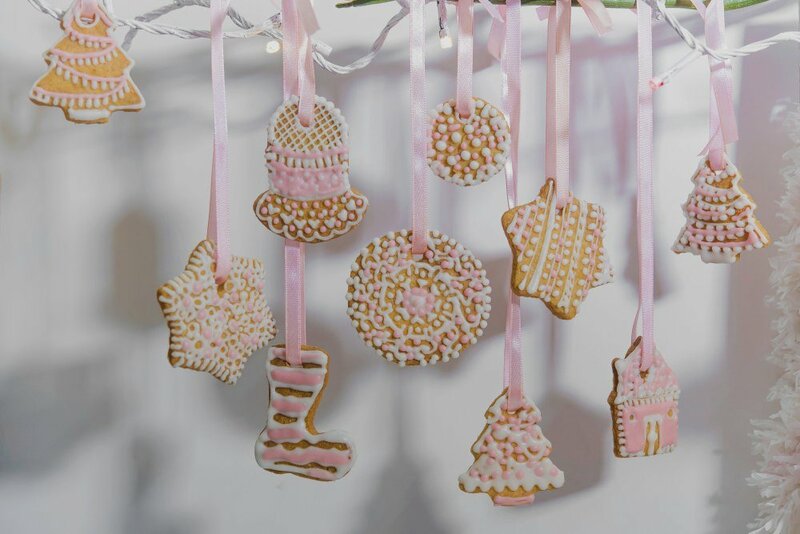 A basic gingerbread cookie recipe, with very basic royal icing decors, is what I am sharing with you today. If you have kids, include them in the whole process too. The joy of baking together is amazing, every shape you cut from the cookie dough will make some wonderful memories. Don’t bother much about making professional looking complicated design with royal icing over your baked cookies. That will only add to the stress, rather give the piping bag to your kids, and let them come up with a creative idea. This also can be a wonderful Christmas party activity, if you are planning on having one. 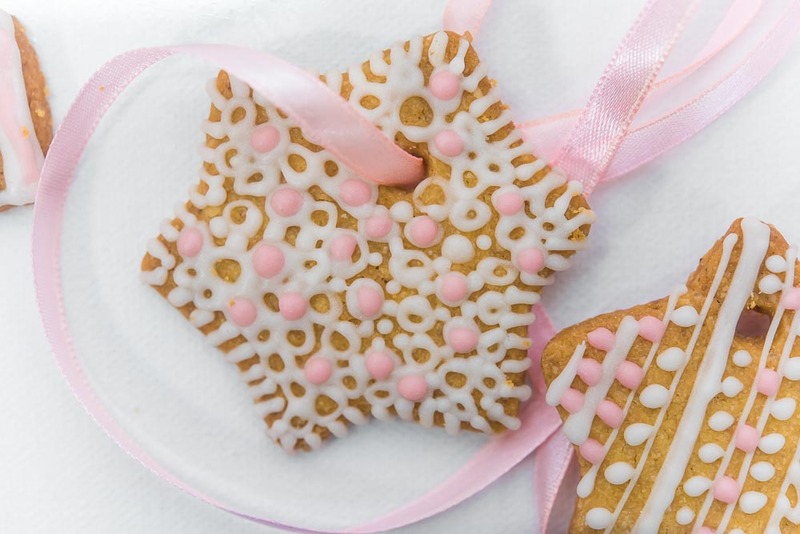 Give pre-baked cookies to kids with royal icing piping bags and let them play. There are few secrets, behind a great gingerbread cookie. The right amount of molasses Plantation Organic Blackstrap Molasses, 442.ml and ginger spice makes it special. 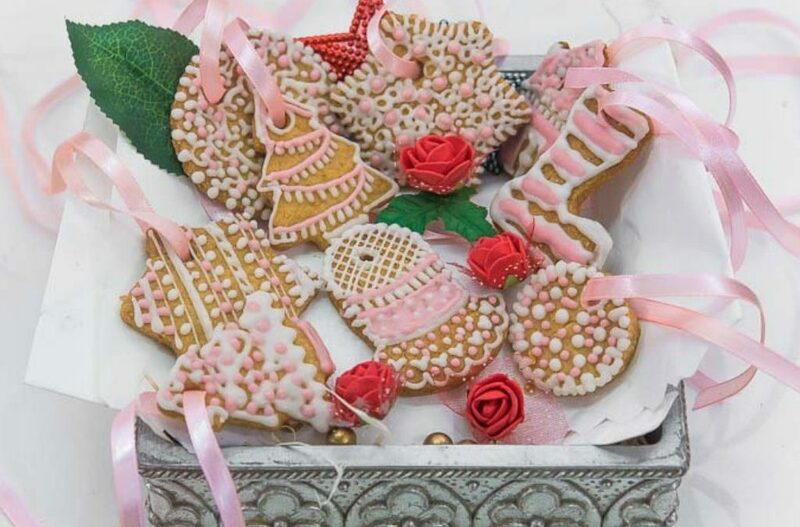 The fragrant flavour of gingerbread cookie, when they come out of the oven is to die for. I also like to add whole wheat flour along with all purpose flour to my cookies. It adds to the earthiness of the molasses and spice flavours. 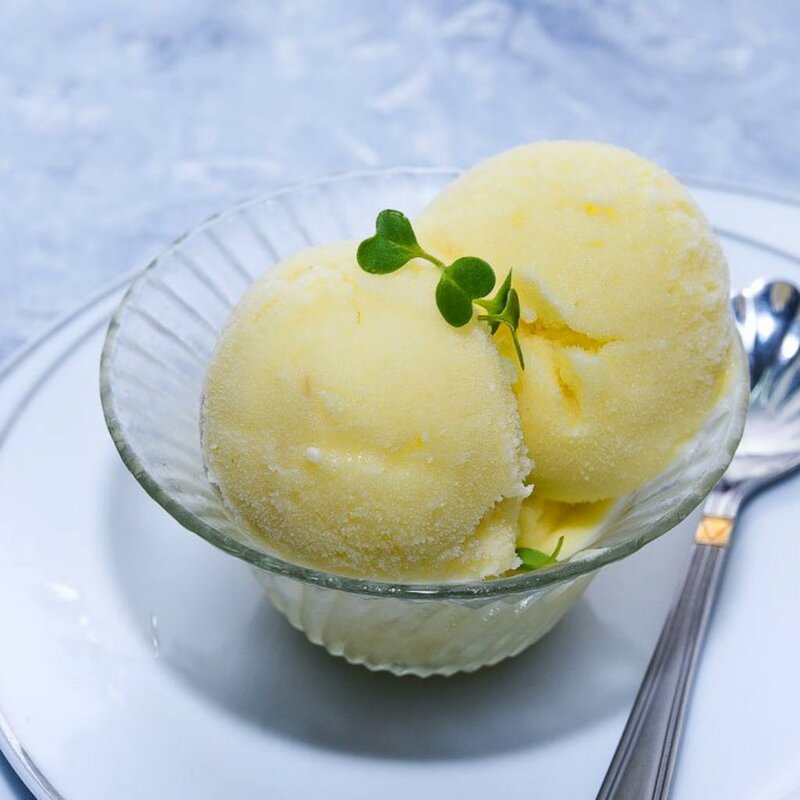 The dough is very easy to make, it requires some chilling time, so it gets easy to handle. 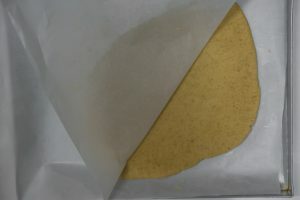 At the same time, if you chill it for a very long time, it gets crazy to roll it into a sheet. 1. Make the dough, as per the recipe says. 2. Roll the dough, between two sheets of parchment paper ( to avoid sticking). 3. Place the rolled dough sheet in the fridge for 8-10 minutes. 4. Use a cookie cutter BESTONZON 14pcs Christmas Cookie Cutters Set,Gingerbread Men, Snowflake, Snowman,Christmas Tree molds,for Biscuit Muffin Cake Chocolate to cut into shape. 5. Use a thin spatula to lift the rolled/ shaped cookies form the sheet and place it on another baking tray, which is lined with parchment paper. Chill again for another 10 minutes and bake in a preheated oven. 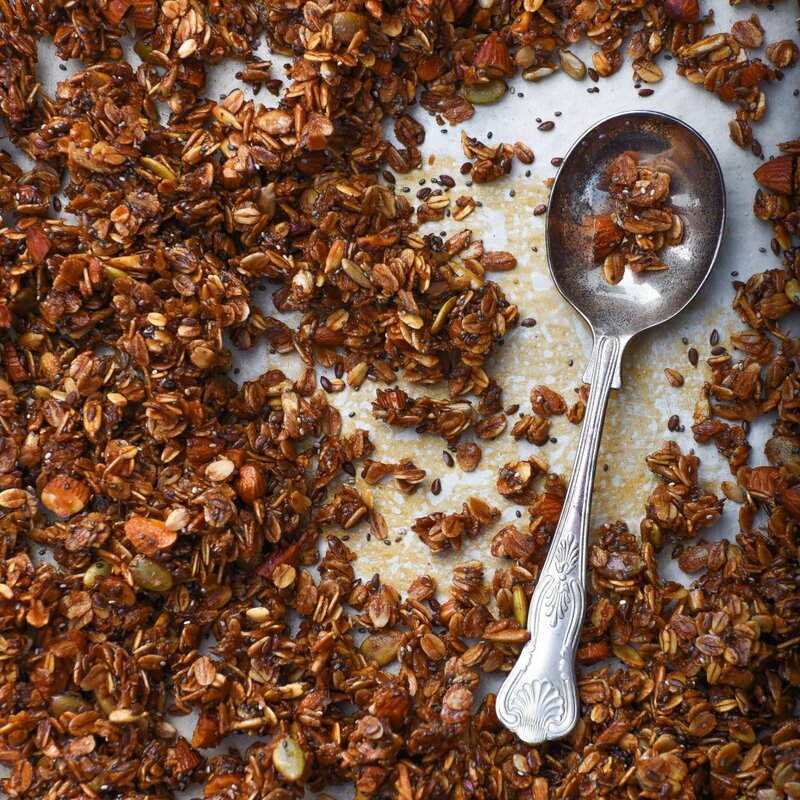 2tbsp dry ginger powder, 3tbsp cinnamon powder, ½ tsp nutmeg, ½ tsp cardamom, 1 tsp cloves. Mix all, and you have homemade gingerbread spice mix ready. 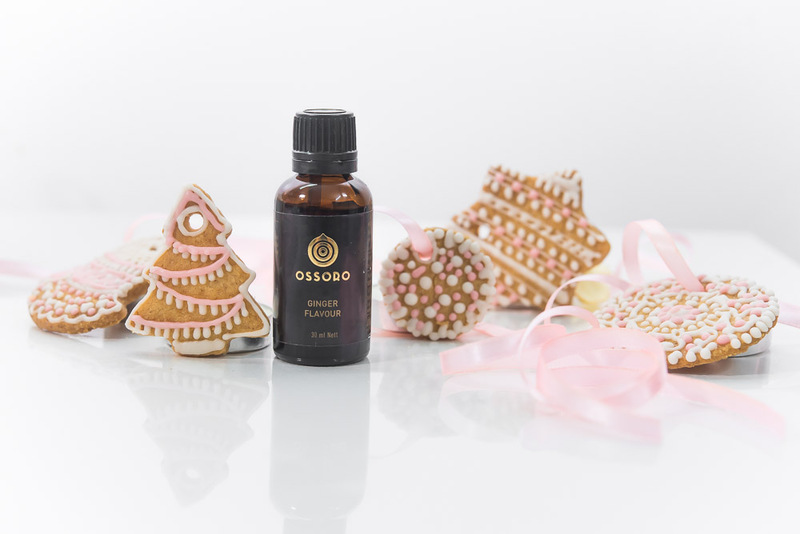 I have also included ginger flavour from Ossoro in my cookies.Ossoro Ginger Flavour, 30ml, Culinary Spice Essence That added a depth to the flavour and aroma. 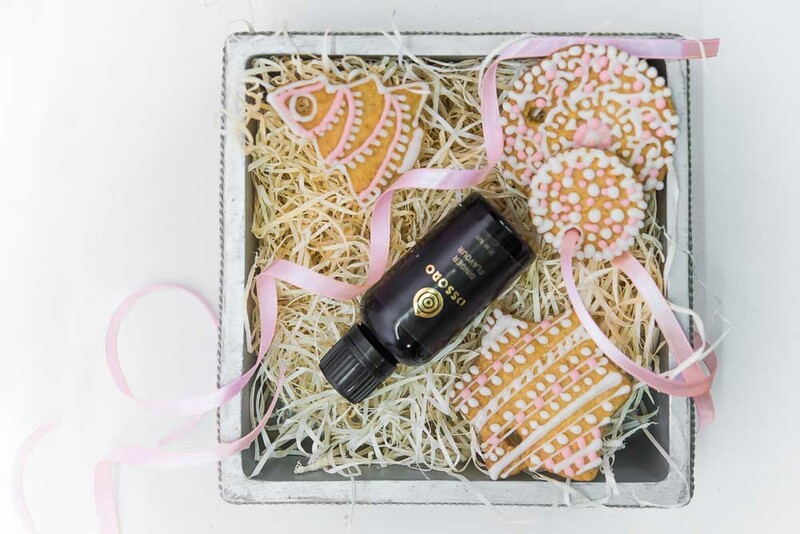 This tiny little bottle is packed with magic ginger fragrance. 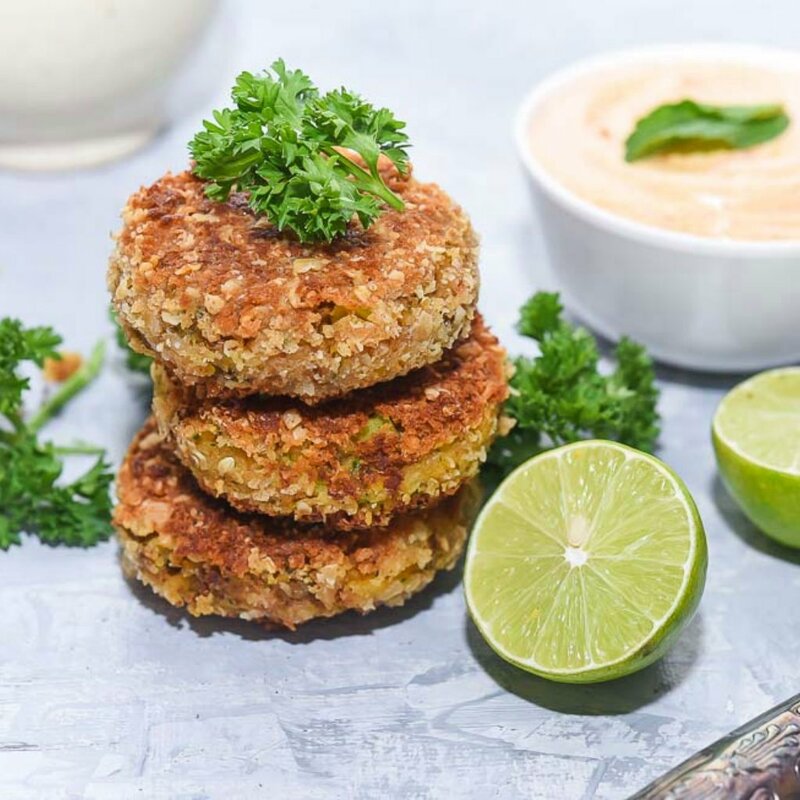 In a medium bowl, whisk together both flours, baking powder, potato starch, salt and spices. In another bowl beat butter (room temperature) and brown sugar using a wire whisk until light and creamy. Add the molasses, egg yolk and Ossoro ginger flavour and beat until combined. Add and mix in the flour mixture. 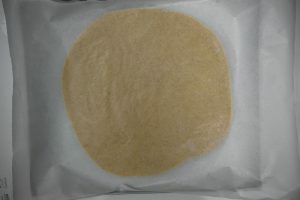 Form the dough into a disk and wrap in plastic wrap. Let the dough rest for 15 minutes. When you’re ready to bake the cookies, preheat oven to 350* F. Roll out dough between two sheets of parchment paper. Chill the rolled out sheet for 10 minutes. Use cookie cuttersBESTONZON 14pcs Christmas Cookie Cutters Set,Gingerbread Men, Snowflake, Snowman,Christmas Tree molds,for Biscuit Muffin Cake Chocolate to cut cookies into desired shapes. Place the shaped cookies on a parchment-lined baking sheet. And chill again for 10 minutes. Baking time will vary depending on the size of your cookies. Medium gingerbread cookies bake for 9-10 minutes, and mini cookies bake for about 7 minutes. Let cookies cool for a few minutes on the baking sheet and then transfer to a wire rack to cool completely. 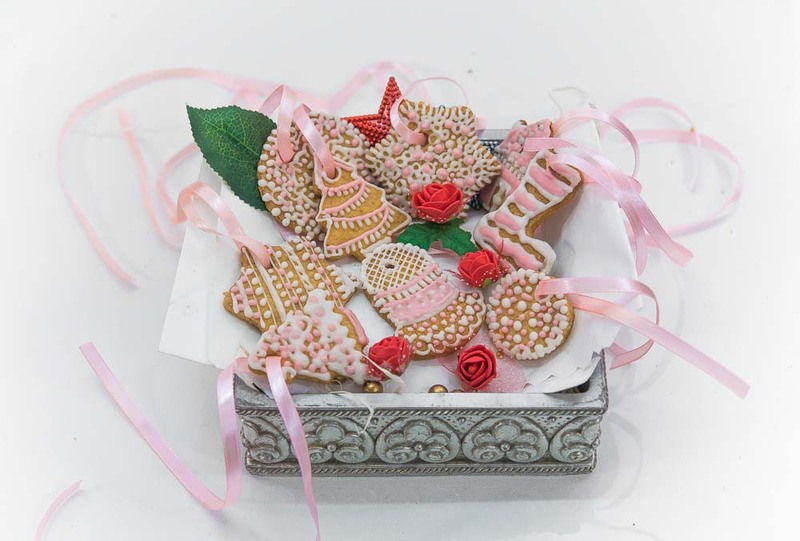 For Royal icing – mix all the ingredients in a bowl and make sure you sift the icing sugar before adding in. Spoon icing into a piping bag fitted with medium round tip, and pipe/ decorate the cookies. Let it stand about 10 minutes or until icing is set.